Product information "Seguin Moreau 600 l Haute Futaie"
Background Used for centuries to transport wines by boat, its namecomes from the half-measure of a MUID, which in prerevolutionary France measured 1200 liters. The thicknessof its staves gave it an exceptional longevity. The wood and its organoleptic characteristics. The Sessile oak comes from state-owned forests of maturetrees under the jurisdiction of the National Forestry Office. 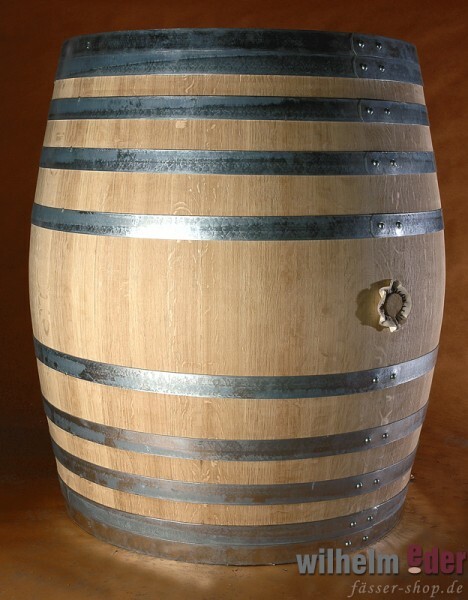 The exclusive use of wood that is split, not sawn, is at the heart of aconstruction made to withstand time.The 42 mm-thick staves develop graceful aromas due to a particularly long andgentle toasting, setting an example for the moderate and supple tannins whichincorporate themselves into the wine during long aging of 12 months or more. Our recommendations for use The Demi Muid is used for extended aging with prolonged phases of reduction.Particularly well-suited for Mediterranean grape varieties (Syrah, Grenache,Mourvèdre) and fine, aromatic white varieties (Sauvignon, Sémillon, Grenache,Muscat, Riesling, Chardonnay).